Need a cute centerpiece for a baby shower? 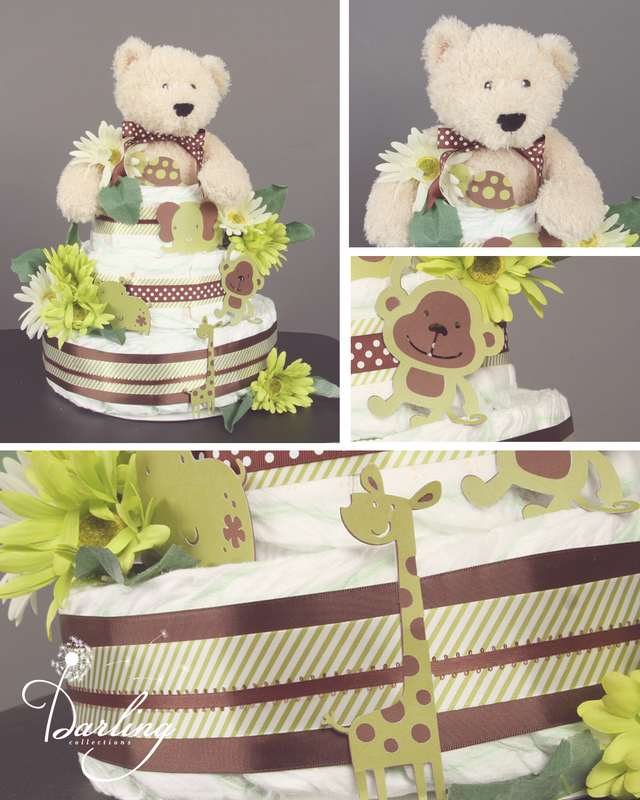 Maybe just wanting to give a unique and practical baby gift without being too cheesy… Just let Darling Collections create a personalized, coordinating diaper cake for you. 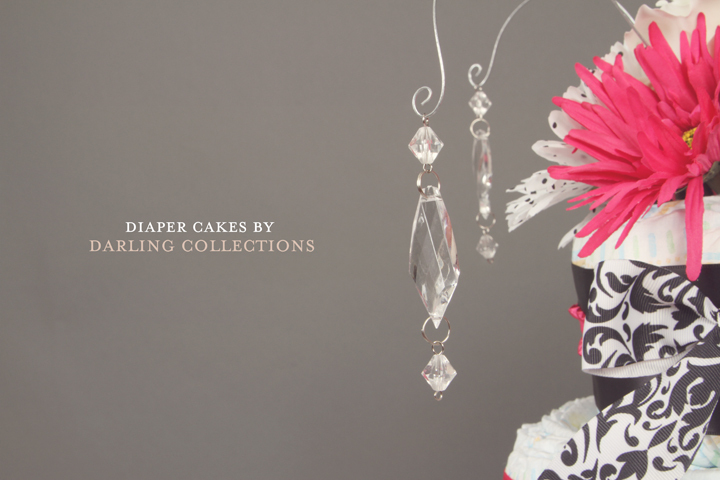 These diaper cakes are unlike many because the diapers are not individually rubber banded, making it hard for the mom to be to get to them and use them quickly, they also are hand crafted with design in mind. 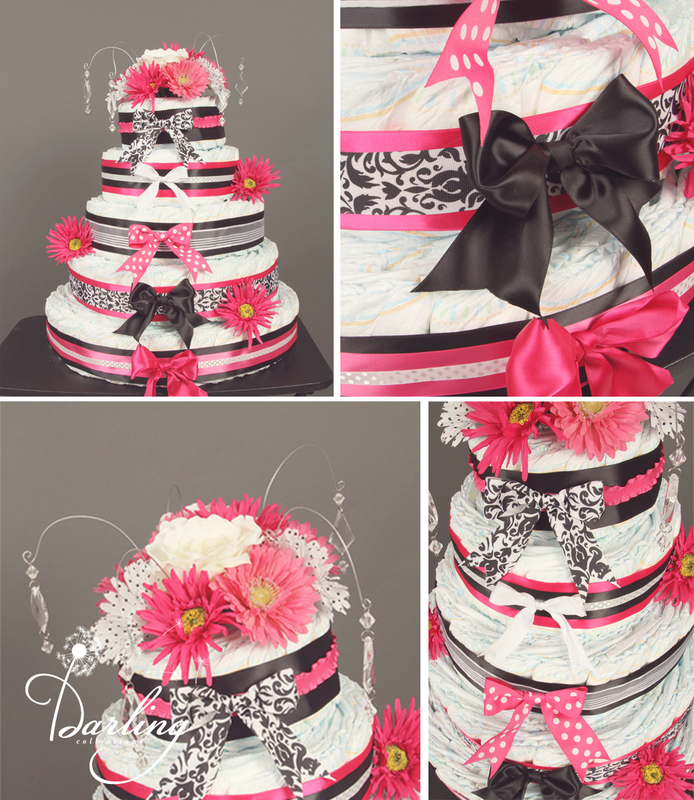 Baby items such as binkie’s, blankets, toys, bottles, etc can be added to the cakes exterior or interior depending on the amount you are looking to spend on the gift. Please contact me if you are interested, price depends on the size (amount of diapers) of the cake and the decorations. Email me at darlingcollections@yahoo.com.